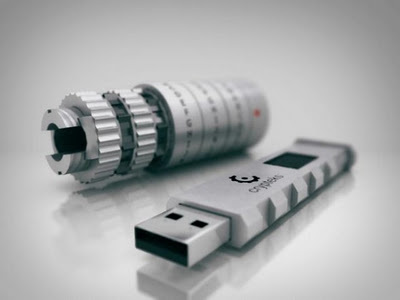 Carrying sensitive data on your USB can always be a problem, but luckily, some USB drives have digital encryption that protects your files, but if you want more secure USB drive, you might be interested in this Kickstarter project. 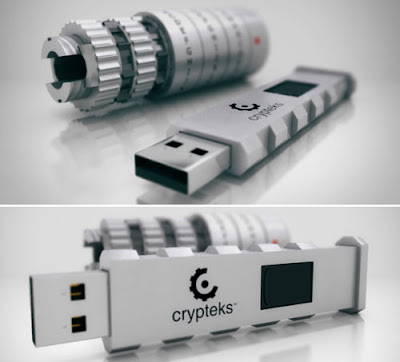 Unlike other USB drives on the market, Crypteks USB comes with two security layers, and it combines both digital encryption and a physical lock for your USB drive. 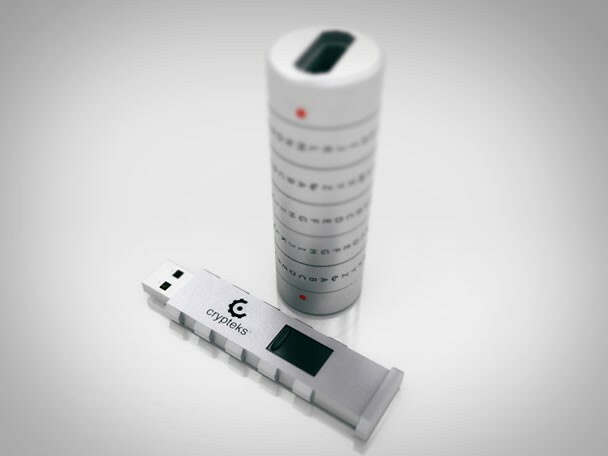 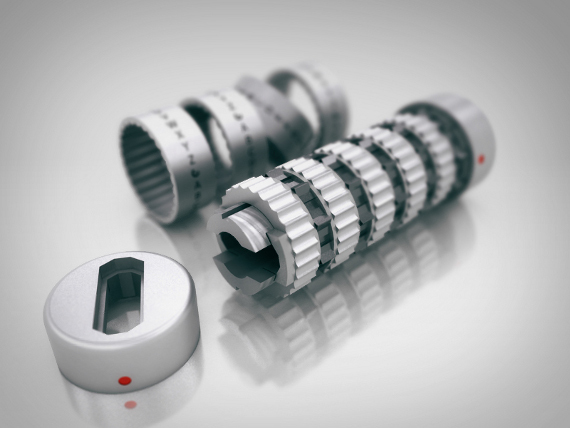 The physical lock is sealed anodized aluminum cylinder that has five rings with letters, and in order to remove the USB drive from its shell, you have to turn the rings and enter the correct password. 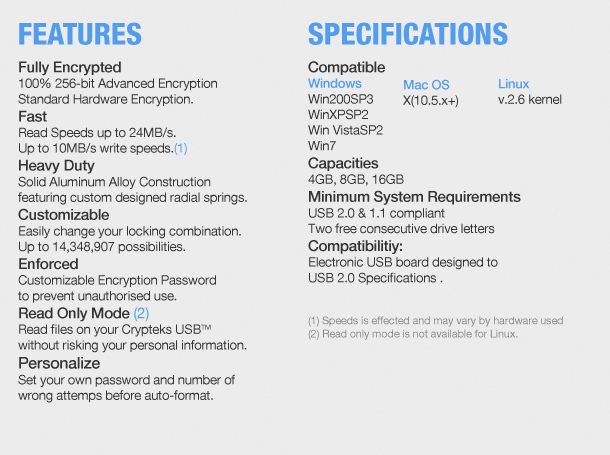 As for the digital encryption, your data is encrypted using 256-bit AES hardware encryption that is currently used by US government. 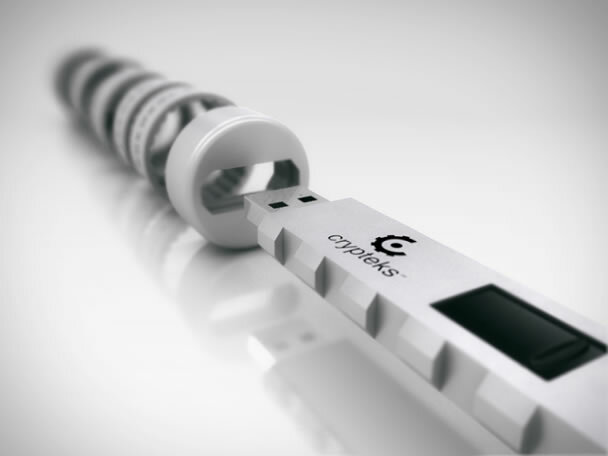 Crypteks USB will definitely keep your data safe thanks to the two layers of security, however, such security comes with a price, and 8GB and 16GB models are priced at $130 and $160 respectively . 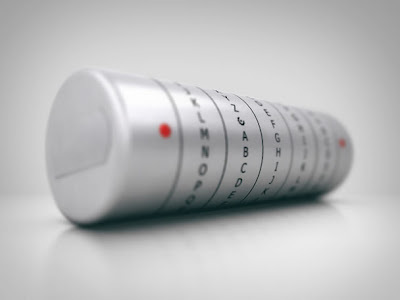 As for the availability, we should see this device available someday soon.